I consider denim jackets to be a wardrobe essential. They allow you to dress down more formal pieces, complete a casual outfit, and keep you warm on days when there is a 20 degree difference between morning and afternoon. Denim jackets help you get more mileage out of your wardrobe, which is why I'm such a fan. In San Diego, you can probably get away with wearing a jean jacket to many work environments. However, this is not ideal. Such a casual piece should be worn primarily for weekend worthy activities--think playgrounds, picnics, and pubs. A denim jacket is best paired with lightweight dresses, knit pants, and suede skirts. Now that we know how and where to sport denim jackets, let's dive in and talk about the best ones Spring 2018 has to offer. First up, we have a perennial favorite, the AG 'Robyn' Denim Jacket. This one is quite stretchy and soft, making it more comfortable than most other denim jackets out there. I suggest ordering your usual size and a size up, as some clients find the arms to be tight. If you plan to layer long sleeves or sweaters under this one, definitely order the size up. Because of the shorter length and feminine cut, this jacket works well on petite women too. Next up, we have the Helena Denim Jacket from Kut from the Kloth. Three of my personal styling clients have purchased this jacket recently. For those who love a lighter denim shade or a good 80's throwback, this garment is ideal. Like the AG version, it's quite soft. This jacket runs small, go up two sizes in order to layer easily. If you're planning on pairing this with tees, tanks, and sleeveless dresses, one size up should do the trick. 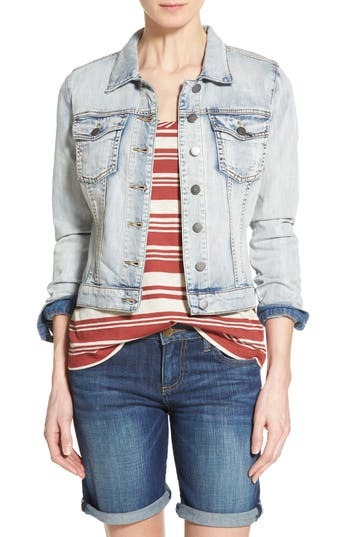 If you want an even lighter denim topper, consider the Samantha jacket from Mavi Jeans. Like the others on this list, it is soft and comfortable. It runs true to size, but some may prefer sizing up for more layering possibilities. 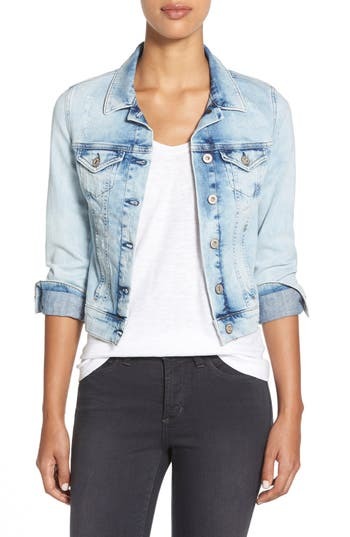 This classic denim jacket from Vince Camuto is one of those items that looks better in person. In a great medium-dark wash, with all the classic details, this is a great jacket for just under $100. Like most jackets on this list, I recommend sizing up, especially if you want to layer it over anything with sleeves. Who says your denim jacket has to be blue? Not me. This stylish white jacket from Loft has no collar and copper buttons, making it a style stand out. Just looking at this jacket makes me want to plan a picnic at La Jolla Shores. It screams warm weather and good times. It's a true white and runs large. Order a size down. ​It is also available in plus sizes. Just as a denim jacket doesn't need to be white, it doesn't need to be boring. 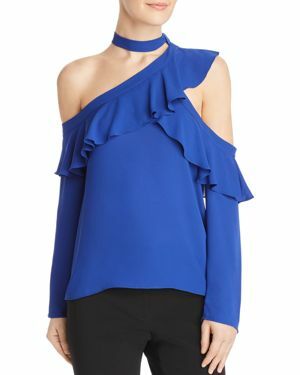 This is another chic, collarless style from Ann Taylor. 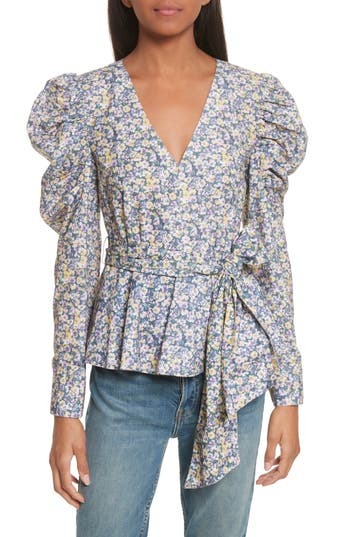 It is a bit dressier and more feminine than the other denim jackets on this list, so if your personal style tends toward the romantic, this might be the one for you. It runs true to size, and a bit narrow in the shoulders. 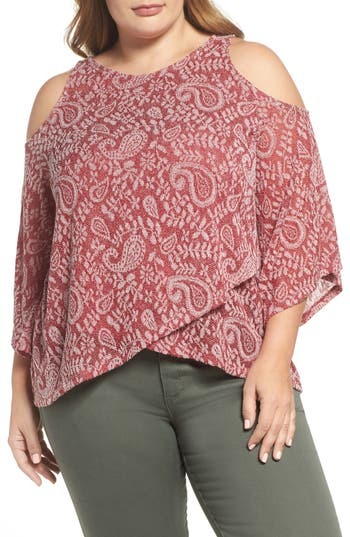 Broad shouldered women should go up a size in this one. 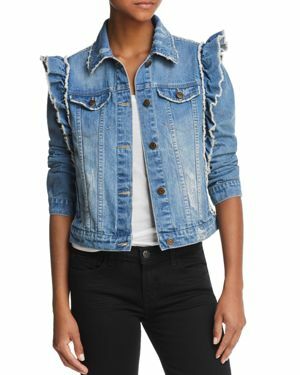 Another non-boring basic, this denim jacket features a fashion-forward shoulder treatment. It is also available in plus sizes. This style runs true to size, with very long arms. I nearly always long-suggest rolling them up, so this should not be an issue for shorter women. 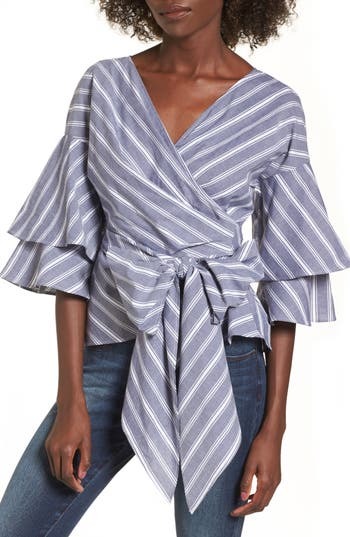 For long-limbed ladies, enjoy those longer sleeves. 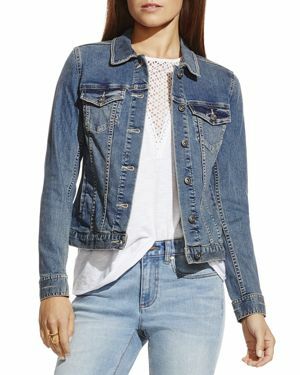 We'll end on a classic, this basic denim jacket from Lucky Brand is frequently on sale at Macy's for around $64, making it quite the steal. 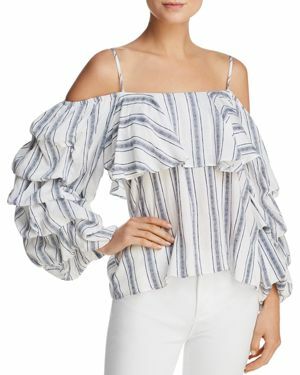 The shorter sleeve length works well for petite women. This runs true size, and by now you know the drill: order a size up if you're planning on wearing this over thick sweaters or frilly dresses. In most working women's closets, you will find a pencil skirt. 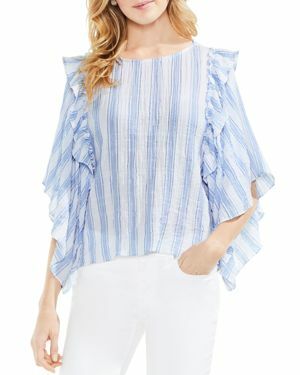 This wardrobe basic remains a staple because it is flattering on most and appropriate for both formal and casual work environments. Like so many wardrobe basics, it can also get a bit stale over time. Some might even say boring. When I worked in a corporate office, I work a black pencil skirt and a button-down shirt 4 days out of 5. I am falling asleep just thinking about it. To avoid this wardrobe tedium, liven up your black pencil skirt by wearing it in a new way. #1 Wear a sleek turtleneck and vest. A turtleneck and a pencil skirt alone can be a chic, powerful look. Adding a vest to the ensemble allows those who are self-conscious of their tummy areas to enjoy the bold, sleek lines of such an outfit. I used to think vests were the most pointless of articles of clothing. Now, I realize that vests provide the concealing qualities of a structured blazer, without the arm restriction. #2: Wake up your cardigan with a necklace. The ever popular Nic & Zoe 4-Way Cardigan is elevated to business casual when paired with a simple tee, statement necklace, and pencil skirt. It's important to get the proportions correct when pairing a cardigan with a pencil skirt. You want something that is hip length, or a bit shorter. If that cardigan covers your bottom, that is going to create an unflattering, widening effect. I prefer tees to tanks when dealing with office wear, because if you get too warm, you can remove the cardigan and still have your shoulders covered. #3: Add some edge with a leather jacket. Perhaps you'd like to take your pencil skirt out for a night on the town, or you're heading from the office straight to happy hour. In that case, you can easily swap out your cardigan for a leather jacket. A cropped, shorter jacket will look the most proportional with pencil skirts. Add a pair of statement earrings to ensure your look is more "cocktails" than "cubicle". 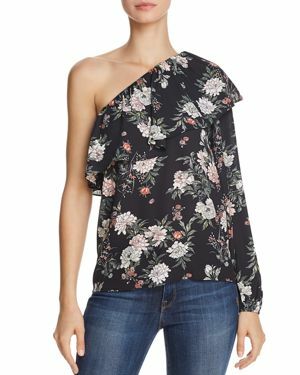 #4: Skip tucking with a peplum top. 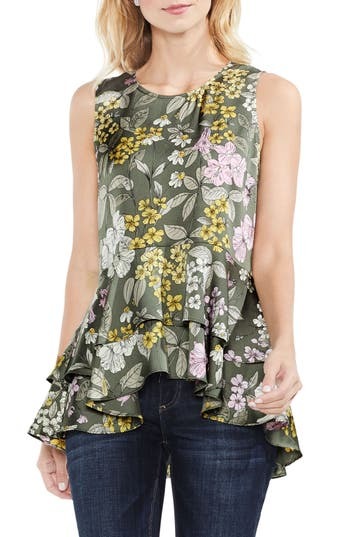 Like a vest or one-button blazer, peplum tops conceal tummies. 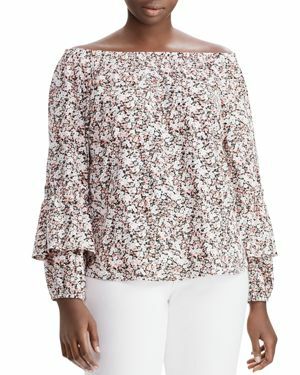 A shorter peplum tee works well with pencil skirts because they can be worn un-tucked without a layering piece, making this look ideal for warmer temperatures. #5: Wear your color on top. With a black basic worn on bottom, nearly any color blazer can look fantastic. Why not try an ultraviolet jacket this season? Olive is another sophisticated option for those who prefer autumnal hues. As with the other tops, you want a blazer that hits you at the hip or above. #6: Get ready for the weekend in a chambray shirt. If you want to wear your pencil skirt on the weekends, try pairing it with a super casual top, like a chambray shirt. Adding a leopard scarf will also help ensure the piece looks more weekend than workday. While heels that are at least 2" will always look best with a pencil skirt, a pointed-toe flat is a great option for those who don't wear heels. #7: For the bold, try a maxi cardigan. Our last look works best on those who are on the tall side and slimmer on the bottom. A long-line cardigan worn over a simple pencil skirt and blouse, paired with ankle boots is the cool-girl office look dreams are made of. How do you like to wear your pencil skirts? Let me know in the comments.